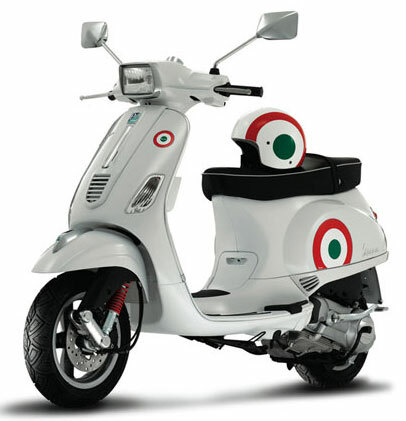 Piaggio has a new scooter model on the market, claiming the Vespa S is a direct descendent of its 50 Special and Primavera. The idea, apparently, is to appeal to the Italian youth who may have heard tales of those older models from their parents – and indeed the fun they had riding them in the late 60s and early 70s. Saying that, it does look not unlike a modern Vespa, with the addition of the rectangular headlight, trimmed-down mudguard and sporty rear light. There’s a choice of 50cc and 125cc and a variety of colour-schemes, each with its own accessories – with prices at 2,500 Euros for the 50cc and 3,200 for the 125cc.